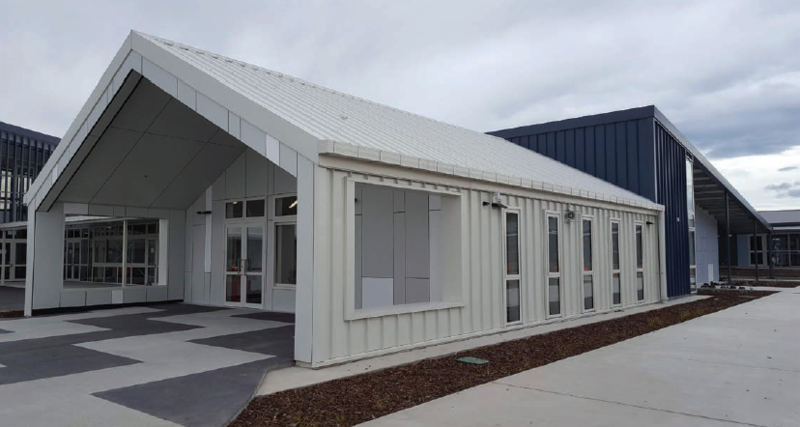 As one of the first Canterbury schools to be identified for a complete rebuild, the new Hornby High School has combined different areas of the curriculum in a way no other school has yet been able to do, resulting in a true Centre of Creative Excellence. Having moved into their new buildings at the beginning of term three this year, Hornby High School deputy principal Jon Rogers says students and teachers are all excited to see how their new school is going to work. “One of the most exciting things is the way we have put different curriculum areas together in ways we think will be particularly exciting,” he says. Jon says the amount of input the staff and senior leadership of the school had in its rebuild is just amazing, and shows an enormous amount of trust and faith from the Ministry of Education which has listened to the school and given it what it thinks it needs. Hornby High School staff had to think long and hard about what teaching and learning is going to look like in the future. The Hornby High School redevelopment includes a 1200sqm gymnasium, an administration block and reception, classrooms, offices, and shared spaces for students. Stage two comprised three stand-alone learning blocks. The school’s redevelopment was completed by Leighs Construction in two stages, the first being a new, state-of-the art, 1200sqm gymnasium, an administration block and reception, classrooms, offices, and shared spaces for students. Stage two comprised three stand-alone learning blocks. Hornby High School was originally built out of Canterbury Education Board relocatable buildings in 1975. Permanent, S68 concrete block buildings and an auditorium were added in the late 1970s and 1980s, and the school opted to keep some of the initial temporary rooms, laid out in nice.